1. Input Voltage DC5V, DMX signal (data+) control. 2. 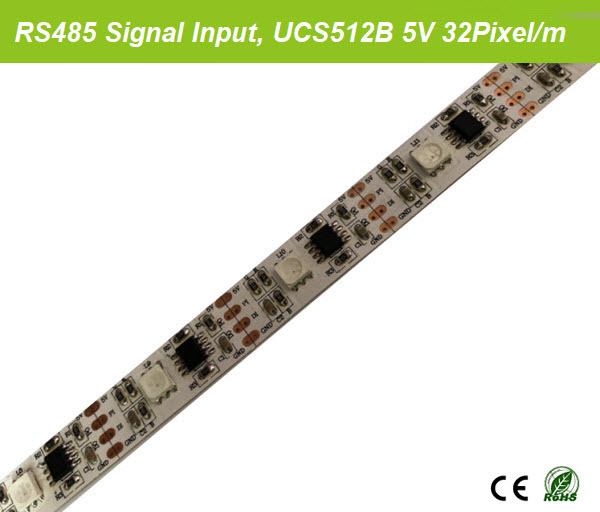 External UCS512B IC control, each led is programmable. 3. 32leds/m, 31.25mm/1.23" intervals cutting point. 4. 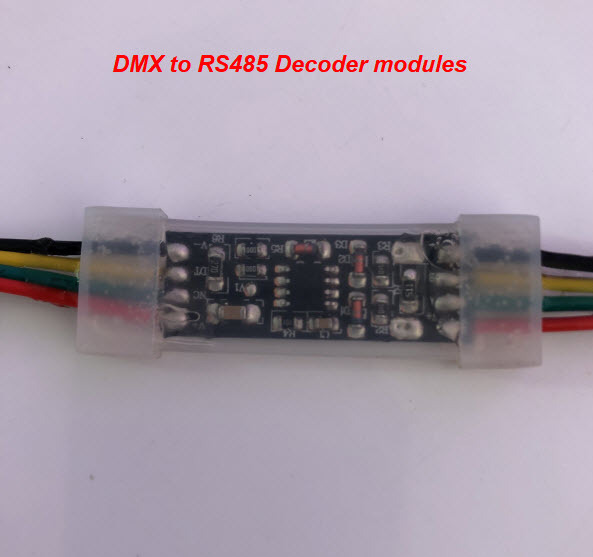 Standard DMX512 controller wired with our DMX512 to RS485 mini decoder which wired with our DMX512 led strip. 6. White PCB/Black PCB available. IP21/IP65/IP67/IP68 available.